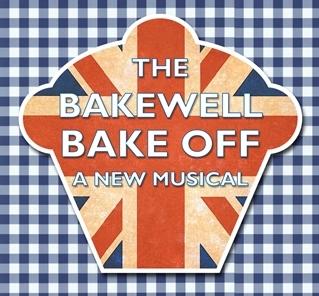 R&H Theatricals Europe is proud to announce that THE BAKEWELL BAKE OFF, a new musical by The Baking Committee, is now available for professional and amateur licensing in the United Kingdom and Europe. 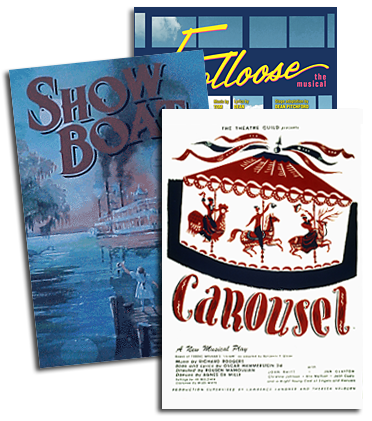 Applications are being accepted immediately for performances beginning no sooner than August 2014. This show started as a college project at Guildford School of Acting (University of Surrey). Inspired by the great British tradition of village Bake Offs, eleven writers worked together to create this feel-good musical about cake! The success of the show’s first run at the GSA led to a London engagement at the Waterloo East Theatre in August 2013. At the beginning of October 2013, having completed their training at GSA, the writers began their professional careers at the Landor Theatre, performing the musical they wrote. The small English village of Bakewell, Derbyshire is holding its annual baking competition, under the watchful eye of the chair of The Bakewell Baking Committee, Victoria Sponge. The eclectic group of contestants, including a local postman, a German transsexual and a nun, are each hoping that their baking skills will impress the judges. Judging the competition are the owners of the three village bakeries, each of whom claim to have the original recipe for the world-famous Bakewell Tart: Eton boy Hugh Dripp with his family’s Almond Topped Bakewell Tart; sweet and innocent Susie Sunflower with her Bakewell Pudding recipe; and finally, Griselda Pratt-Dewhurst, head of the Parish Council, with her Iced Topped Cherry Bakewell. This feud has gone on for generations, but this year the Bakewell Baking Committee has received a letter from Professor Lesley Kugelhumpf of the European Union, explaining that there can no longer be three recipes for ‘The Bakewell’. He decrees that a second round must be added to the competition, to resolve the matter once and for all. The ensuing combination of hilarious songs, baking disasters and even a little audience participation is guaranteed to put a smile on your face! The Baking Committee was originally formed from a group of MA Musical Theatre students from Guildford School of Acting. They were tasked to write an original musical in just 3 weeks as a final project at the end of the course. As the show grew, a number of other creatives joined the team and aided the writing and re-writing process. The final committee consisted of: Cerys Alley, Tom Beynon, Kevin Michael Cripps, Will Ferris, Katherine Glover, Victoria Humphreys, Emily Jeffreys, Maura Matlak, James Moriarty, Nicole Tiffany Rushing, Alexandra Spalding, Tim Stuart, Kayleigh Thadani and Julian Woolford (Head of MA Musical Theatre, theatre director, producer and writer).